Today is the last day of Fasching or Carnival here in Germany. If you have been reading my post here and of course in this site about Fasching, you might have some idea of what it is. 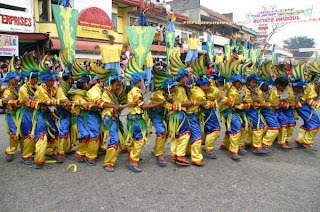 Back in the Philippines, I compared it to Ati-Atihan in Kalibo Aklan, Sinulog in Cebu, Halad in Midsayap, Kadayawan in Davao or Dinagyang in Iloilo and a lot of places in the Philippines. Tomorrow is Ash Wednesday already. For us Catholics, it is already the start of Lenten season. It means no eating of meat every Friday. 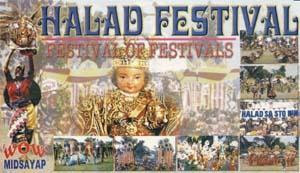 It also means some sort of respect and sacrifice during the Lenten season besides that it is only once in a week. I prefer eating fish anyway. If I can only have fresh fish here in Germany everyday like in the Philippines, I prefer eating it. So fellow Germans, enjoy the rest of the hours because Fasching is over at midnight tonight. 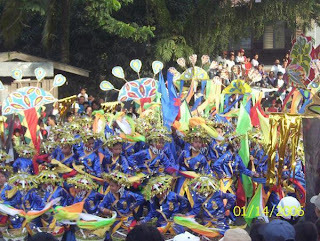 Anyway got some photos here from the Sinulog in Midsayap and Ati-atihan in Aklan , Philippines...enjoy viewing! !